Erin Mullady Hamlin is a three-time Olympian and the first female American luger to medal at any Winter Olympics, as well as the first American of either gender to medal in singles competition. She took the singles bronze medal in Sochi’s 2014 Winter Olympics, something the Associated Press called “a feat that will surely go down as perhaps the greatest moment in USA Luge history”. Having opened her luging career in 2005, her first major international victory was the gold medal in the women’s singles event at the 2009 FIL World Luge Championships in Lake Placid, New York. This marked the first time in 99 races that a German woman was not the top finisher. Hamlin finished 12th in the women’s singles event at the 2006 Winter Olympics in Turin. She was selected in December 2009 to compete at the 2010 Winter Olympics in Vancouver. 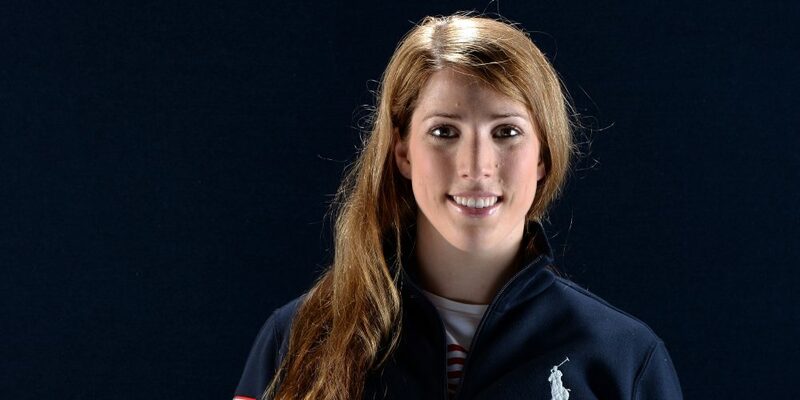 In the games, Hamlin placed 16th in the luge competition, coming in as the highest placed American in the event. A native of Remsen, New York, Hamlin also makes her home in Lake Placid. She is the daughter of Eileen and Ronald Hamlin who both reside in Remsen. In 2009, Hamlin became a spokesperson for the National Headache Foundation. She won the “Best Female Athlete Award” at the 2014 Best of U.S. Awards, honoring the most inspiring accomplishments and outstanding performances of Team USA at the 2014 Olympic Games. In the off-season, she goes to the gym five days a week. She also does sprints, yoga and agility exercises, as well as playing soccer and basketball. During the season, she lifts weights three times a week and does cardio training on the opposite days. She was named US Luge Female Athlete of the Year in 2008, 2009 and 2012. She also won the 2004 US Luge Junior Female Athlete of the Year.